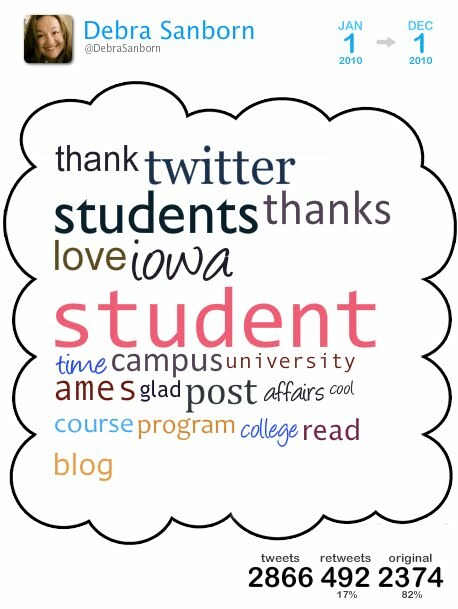 Reviewing the most frequent word of my last year in Twitter, student, has me pondering a career in student affairs. Any thoughts on that? This entry was posted in social networks, student affairs, Twitter. Bookmark the permalink.